The Brock stool is a cushioned metal swivel stool with an upholstered seat and back as well as a steel frame. 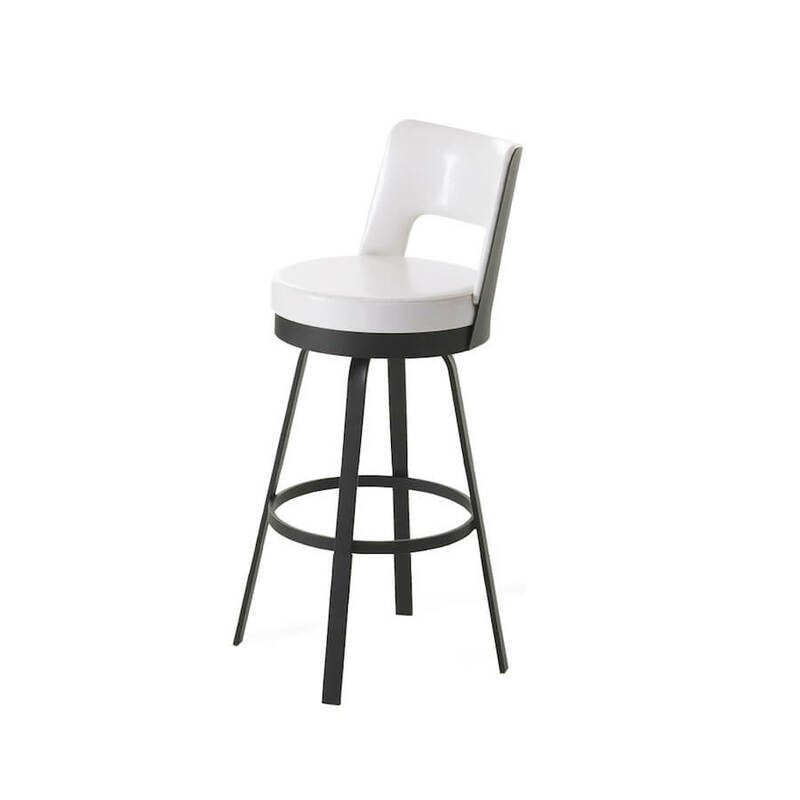 You choose the fabrics and the steel finish from a wide variety of choices, ensuring your stool fits your space to a T. This stool has a unique and trendy design, but will fit in any relaxed ambience. 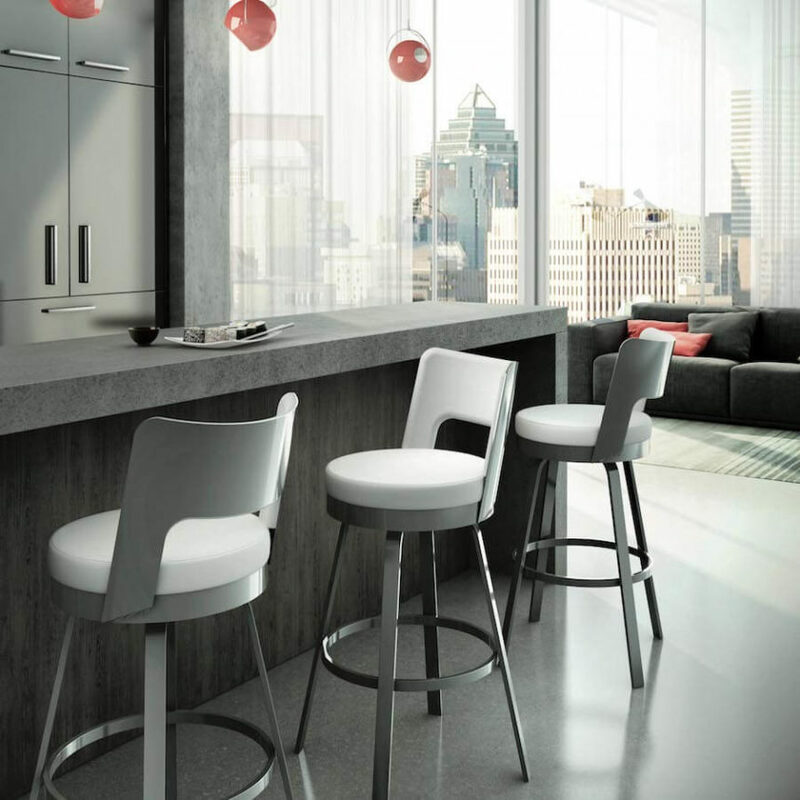 You will also be hard pressed to find a bar stool more comfortable than the Brock. Come test it out for yourself! Total Height – Counter: 37.5"
Total Height – Bar: 41.5"